We welcome you to come and watch any class you may be interested in. 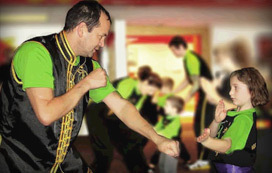 We even allow you to participate in any of our informal martial arts classes to see if they're right for you. Please contact Sifu Bateman to schedule time with us at the Academy.